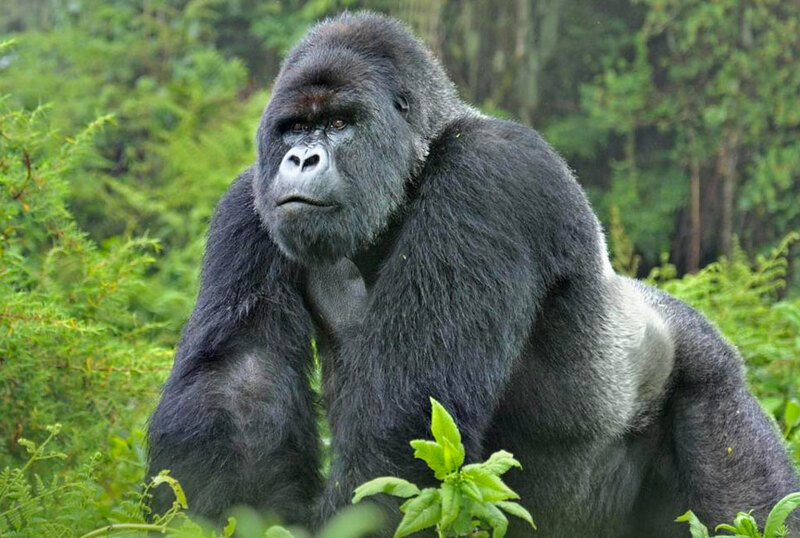 The 10 days Uganda gorilla safari, chimpanzee trekking & wildlife tour or 10 days Bwindi gorilla trekking tour Uganda is a primate, ape and big five wildlife safari in Uganda. 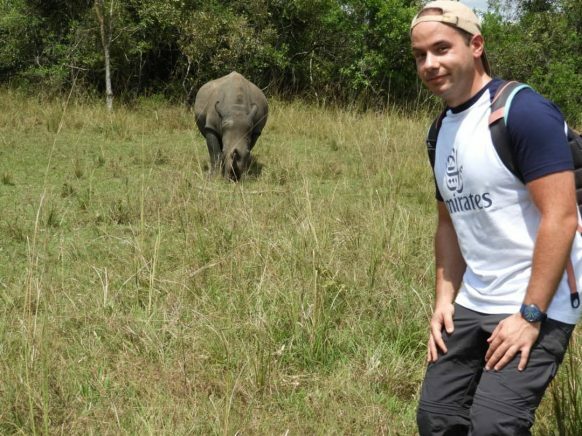 The 10 days tour features the big five wildlife encounter during rhino tracking at Ziwa Rhino Sanctuary as well as a game drive and boat cruise at Murchison Falls national park and Queen Elizabeth National Park. 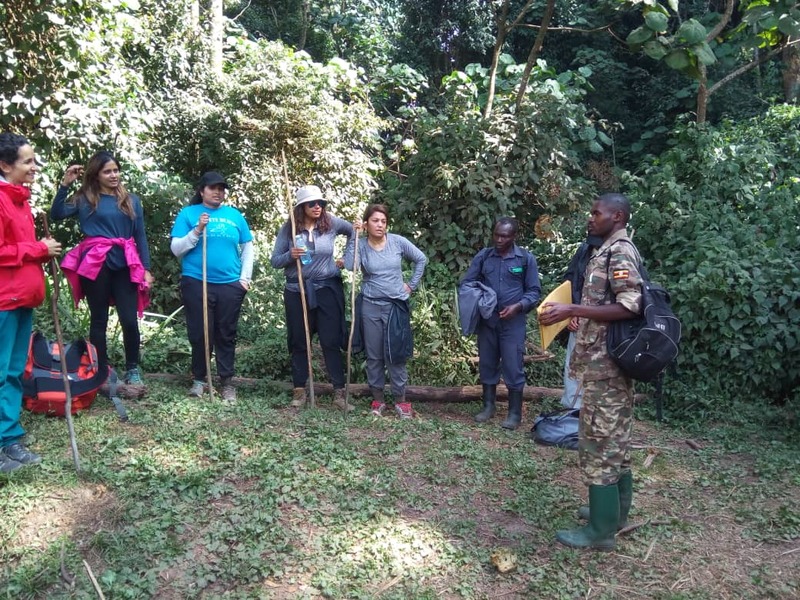 The chimpanzee trekking experience is had at Kibale forest national park while Bwindi impenetrable national park offers a gorilla trekking experience. Arriving at Entebbe international airport, a Uganda safari guide will be there to welcome you to Uganda, briefs you about the safari then drives you to a booked hotel/lodge in Kampala. Next morning, you are driven to Murchison Falls national park with a branch off to Ziwa Rhino sanctuary for rhino tracking on foot starting off your wildlife tour in Uganda. You spend the night in a lodging facility at Murchison falls park where you then do a game drive and boat cruise the next day. After a relaxed breakfast the fourth day, you go past the diverse and scenic Albertine rift to Lake Albert Lodge where you have dinner and spend the night. Next morning you are transferred to Kibale forest national park where you will go for chimpanzee trekking at then transfer to Queen Elizabeth National park. 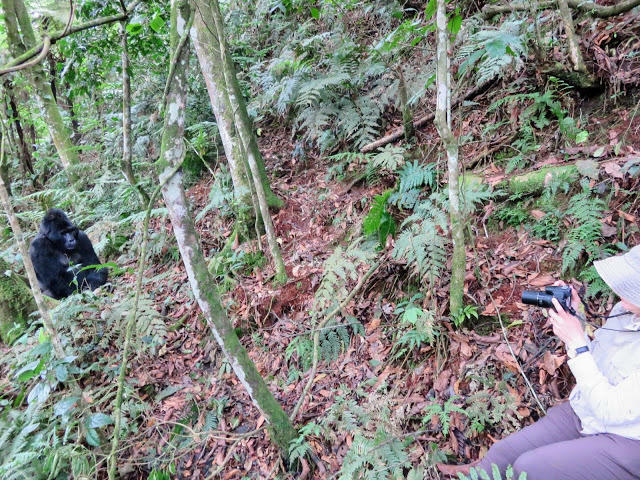 On the eighth day, you are driven to Bwindi impenetrable national park where you do gorilla trekking the next day. The trip will end the next day with a drive to Entebbe international airport for a departure flight. 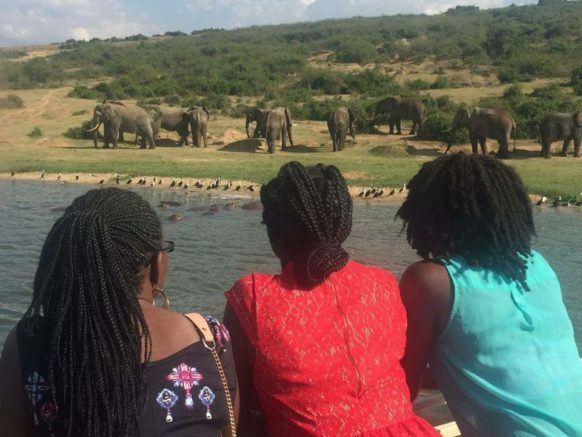 Day 3: You go for an early morning game drive at Murchison falls park, return for lunch, an evening boat cruise and hike to the top of the falls at Murchison falls national park. Day 4: After a relaxed breakfast, you go for another morning game drive then be transferred through the Albertine rift to Lake Albert lodge where you spend the night. Day 5: In the morning, you continue with the drive to Kibale forest national park with a crater lake tour before arrival. Day 6: In the morning, you go for chimpanzee trekking at Kibale forest national park for about 2-4hours then be driven to Queen Elizabeth National Park in the evening. Day 7: Early morning, you go for a morning game drive, have lunch and then return for an evening boat cruise. Day 8: After breakfast, you embark on a drive to Bwindi impenetrable national park. 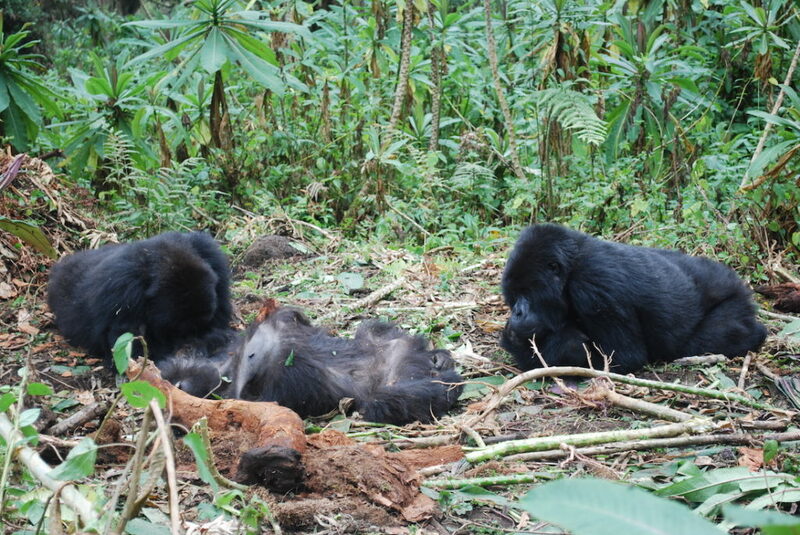 Day 9: Following early morning breakfast, you go for gorilla trekking starting by 8:00am lasting 2-8 hours. Day 10: In the morning, you embark on a road trip to Entebbe international airport for departure with a stop at the equator for photography. At Murchison falls park, expect to be at the park headquarters by 7:00am for a morning game drive for early morning risers’ sightings. Elephants, lions, leopards and buffaloes alongside other species make the common sightings of the morning. What an amazing drive in the vast savannah plains of northern Uganda, it lasts 2-4 hours then after you return to your lodge/hotel for lunch and refreshment. In the evening at 2:00pm, you go for a boat cruise to the bottom of the thunderous Murchison falls home to numerous hippopotamuses and crocodiles. 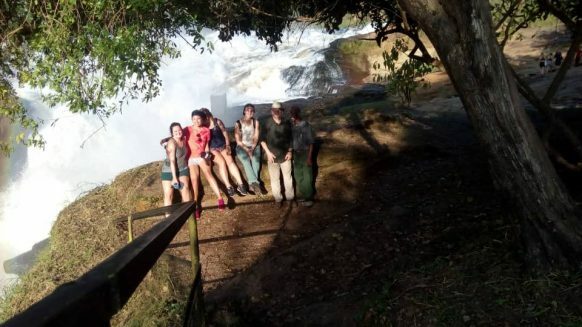 From the base of the Murchison Falls, you will take about a 1-hour hike to the top of the mighty falls where you will meet your driver guide for a return drive to your lodging facility. After an amazing experience during this time of your wildlife safari in Uganda, you are driven back to your lodging facility for dinner and an overnight. This new morning is yet another chance for you to see more wildlife species on a game drive. In your 4×4 safari vehicle, you are driven through the vast savannah plains for an opportunity to increase on the number of wildlife species sighted the previous day. After then, you are driven for lunch and then driven past the scenic Albertine rift with a great landscape. You arrive to Hoima in the evening where you check in to Lake Albert Lodge for bush dinner in the wilderness and spend the night. After an African cup of coffee at lake Albert lodge then your driver guide takes you on a road drive to Kibale forest national park in south western Uganda. Before arrival, you go for a crater Lake tour at Fort Portal, a trail with a picturesque landscape that will amaze you. Arriving in the evening, you check in, have dinner and relax at a prior booked accommodation in Kibale forest national park. In the morning, you have early breakfast then embark on a drive to Kibale forest park for a chimpanzee trekking experience. Chimpanzee trekking Starts at 8:00am lasting 2-5 hours in the jungle with only 1 hour in the presence of the chimpanzees as you glimpse at them at play, chunk fruits and interact. After chimpanzee trekking, you return for lunch at your lodging facility then transfer to Queen Elizabeth National Park arriving in the evening to an accommodation in Queen Elizabeth National Park. This morning, you rise early for a drive inside Queen Elizabeth national park for a morning game drive. The Elephants, lions, Buffaloes, water bucks, Topis make the common sightings for the day on a wildlife safari in Uganda to this park. After 2-4 hours of the game drive, you return to your lodging facility for a meal then be driven for the boat cruise start point along the 45km Kazinga channel that connects Lakes Albert and George where you will spend about 2 hours. Early morning, you have relaxed breakfast then be driven to Bwindi impenetrable national park for a Uganda gorilla trekking safari tour the next day. This is an en route game drive driving through the ishasha sector popular for tree climbing lions. On arrival, you check into a preferred accommodation in Bwindi impenetrable national park for dinner and a night stay as you plan for gorilla trekking the next day. This morning you bid fare well to the biggest gorilla habitat in the world then embark on a road trip to Entebbe international airport for a departure flight. You have a stop at the equator line for the Zero Latitude experience and can also stop at any spot where drums are made for a cultural experience along the way. You then arrive in the afternoon at the airport for a departure flight. The gorillas in the wild are ready to be part of your memorable selfie during gorilla trekking and since the numbers are increasing therefore you have more friends to make, have your dream tour in just 10 days by booking this trip.